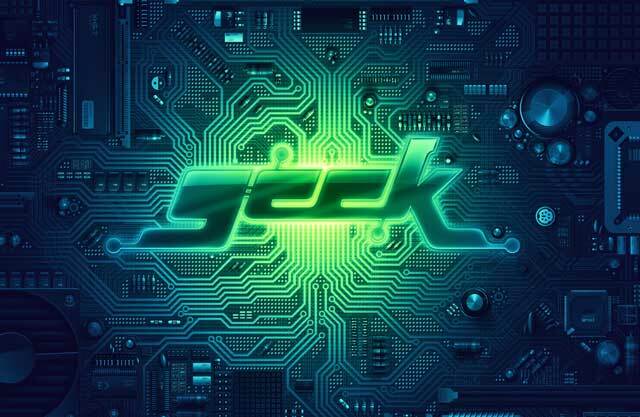 You know what a Picker is? You Ol’ Timers do, but I can guarantee most of the young bucks don’t. I’d never heard of a Picker until recently. First, I want to officially go on record in saying, I’m thankful for the pickers. They’re scattered all across our fruited plain. Their job- scurry through the yard sales looking for “things” of value to resale. Usually they broker to dealers, but now with the web, they can sell directly to collectors too. 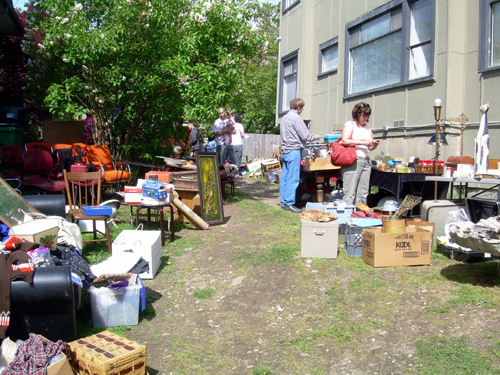 Pickers– A term that the yardsale community commonly uses to refer to [unscrupulous] people who turn a profit from reselling yardsale-bought goods. Pros resent being classified as pickers seeing as how it puts them in the same category as lawn gypsies. You know me I’m all for capitalism. I’m glad someone is up at the crack of dawn sifting through boxes of junk. So what they make a dollar…..or thousands when they score a find. 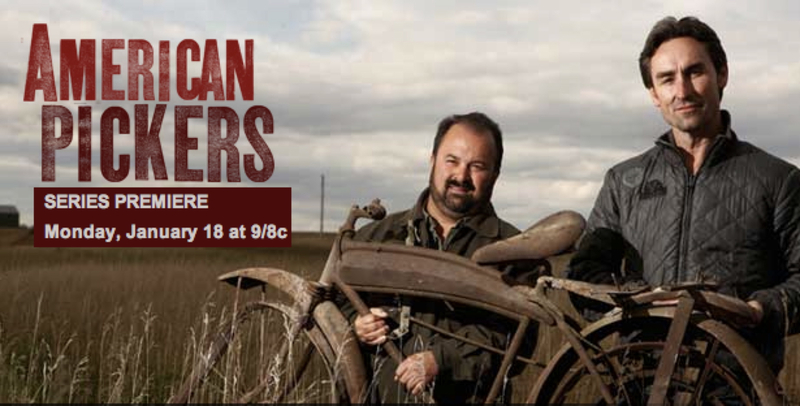 Pickers have now even been elevated in stature- there’s a TV Show promoting this worthwhile activity called American Pickers. Why are pickers on my mind today? Cause I’m the proud benefactor of a picker’s discovery. Recently a gentleman in California contacted me. He is a friend of this particular picker- my hero- who had found a big old odd knife. The friend was helping research the knife and they found my Elephant Toenails website. The friend wanted me to help give “some details” about it, as well as wanting to know if I’d be interested. Long story short, it was an elephant toenail, as you probably guessed. But it wasn’t just the run of the mill old toenail, instead it was of the Jumbo Swellcenter variety- my favorite. Now my appreciation for this under-appreciated occupation is at an all-time high. Had this gentleman not recognized my knife as potentially having significance (to me anyway), it easily could have ended up being purchased for what it was originally intended- a hard-core work knife- thrown in a toolbox never to be seen again. I know you knife collectors are nodding with me on this. I can hear your “Amen” all the way down here in the Heart of Dixie. Oh, I forgot to tell you the kicker- the Picker only paid $14.00 for it. Kinda makes you want to pick a little, now doesn’t it? When size matters- now this is a blade! Looking for an EDC you can use as a multi-purpose blade but want one that is easy to conceal? Then this baby ain’t it. C.A.S. 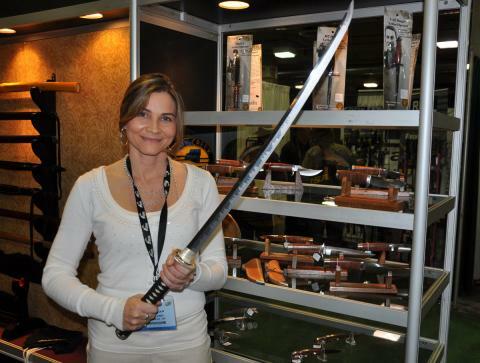 Hanwei, known for high-end samurai swords, celebrates its 25th anniversary with this massive Shinto sword held by Missy Hillian at the 2010 SHOT SHOW in Vegas. Every collector has a favorite. Whether it is a single knife, brand or pattern, we all have a favorite. If you don’t know by now, mine is a pattern- I’m what is called a pattern collector. This simply means I try to acquire all the different variations and brands of this one knife pattern. My favorite is the vintage pattern commonly called the Elephant Toenail (although it’s had many nicknames over the years, as you will see). The Toenail was instrumental in helping build America in its early days. It isn’t the oldest knife made here, but was probably the hardest used work knife produced by the early American cutlery companies. It’s amazing any of them survived. Earlier today, I was looking through the new catalog from my favorite clothier – Orvis. My wife calls them old man clothes, but what can I say…I am an old knife collector. 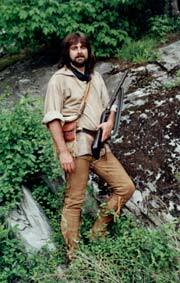 Even though I don’t fly fish, or get decked out in my Orvis hat to boots outfits to go deep woods, I really like the look of their clothes. This day, however, I was causally skimming through the pages not looking for anything in particular and whala- a custom knife maker’s knife pops right off the page. Yes, Daniel Winkler is an entrepreneur/marketeer as much as he is an award-winning custom knife maker. The exposure value of having a third page in their catalog, plus the Orvis endorsement is tremendous. Good job, Daniel. 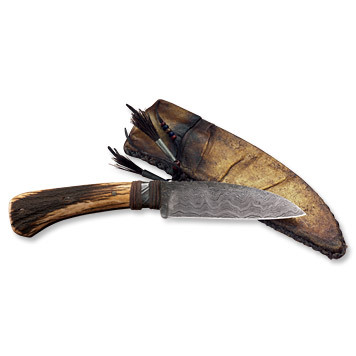 The knife is a rugged Limited Edition Elk antler handled Damascus. Now I like Orvis all the more…but I still can’t bring myself to order the “Winter coat without an equal.” It’s a casual, oh, so cool looking, leather jacket for a meager $2750. Found me the ultimate manly man’s yard knife. 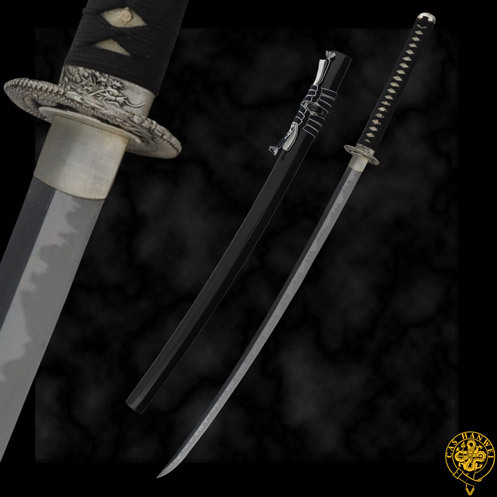 It is called the Hori Hori Knife (click to see video). Made in either stainless steel or carbon. They are made to pry out weeds, dig up rocks, cut roots, saw small branches, plant bulbs, bust up Alabama red clay and fun stuff like that. Plus, it has a measurement marking so I can measure things, I guess. Word has it they originated in Japan back long ago as a tool to pry up Bonsai trees. It’s just right for those hot summer days when I have weeds to pull, roots to cut or want to edge my driveway- by hand. I know you think I’m joking about this knife- well maybe a little bit, but I did order me one last night. Next up in the series on yard knives- the dibber. This one is kinda cool too, isn’t it? Editor’s note: This message is too important to make bite-sized. The topics addressed in this report include, the importance of the web to us, the history of collectors and the web, the state of our hobby on the web today, and our future, in addition to several major online projects I’d like to see developed that are pretty cool. Have you ever heard the business axiom, “Don’t be so busy working in the business, you aren’t working on the business”? If you haven’t, it simply means we can’t be so caught up in the day to day, we fail to plan for the future. We must be constantly planning for the hobby of knife collecting too. Planning on ways to expose our hobby to non-knife collectors and positioning our hobby so they should want to get involved. Why do I say this? Well, for several reasons, some positive and some negative. The ugliest one is this- if we don’t, we will become a hobby of old folks who collect relics of the past that no one else can relate with, or cares about. The flip side of that is this- we have a worthwhile hobby. A progressive pastime that is fun and rewarding! Yes, it connects us with our past, but it also provides a vehicle for connecting with the future and other collectors! Once again I was perusing through custom daggers and got stopped dead in my tracks. My problem is a mixture of liking odd, large and, unfortunately, expensive knives (champagne taste on a beer budget). Anyway, I don’t think it hurts to look, does it? Check it out. If you end up buying it, please don’t tell me. 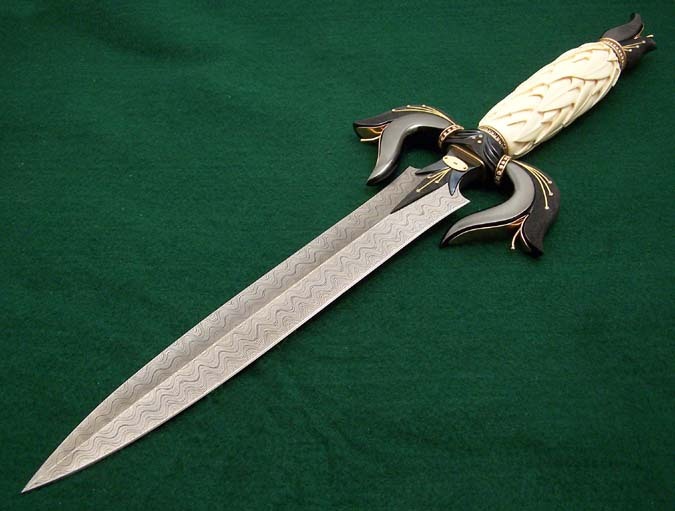 Johan Gustafsson "New Age Dagger"
I know, I know, as hard as I was on tactical fixed blades I’m expecting to get my chops busted for lusting over this dagger (but you know I’d never carry this beaut). If you care to look at it more closely (or purchase it), it is listed on BladeGallery.com. Follow this link. The bowie blade is 10″ and the “smaller” folding blade is 4 1/8.” It is almost 20″ OAL. The colors of the bolsters and blades are so cool! The handle is Fossil mammoth ivory. The design is killer. I’m not to crazy about its price though- $4800. I’ll stick to my vintage toenails, thank you anyway. Have you ever thought about why you scan through tons of knives on eBay til your eyes burn, why you drive hours to a knife show, or why you spend your hard-earned money on what you do? I have. And here is what I learned.- The heart and soul of my motivation is one old knife. It is this one knife that drives my interest in the history of the early American cutlery companies, my appreciation for other old knives, my desire to identify and learn to use computer resources, my desire to produce CNJ, and provides the springboard for the bond I have with collectors and users- of all types of knives. In fact, this one knife is the motivator behind everything I do that is in anyway knife related. Sounds pretty significant doesn’t it? You guys know I’m an old knife guy (no pun intended). Give me a 100 year old knife and I’m in hog heaven. But here at CNJ I try to keep up with the other types of knives too- the customs, tacticals and newer factory made. 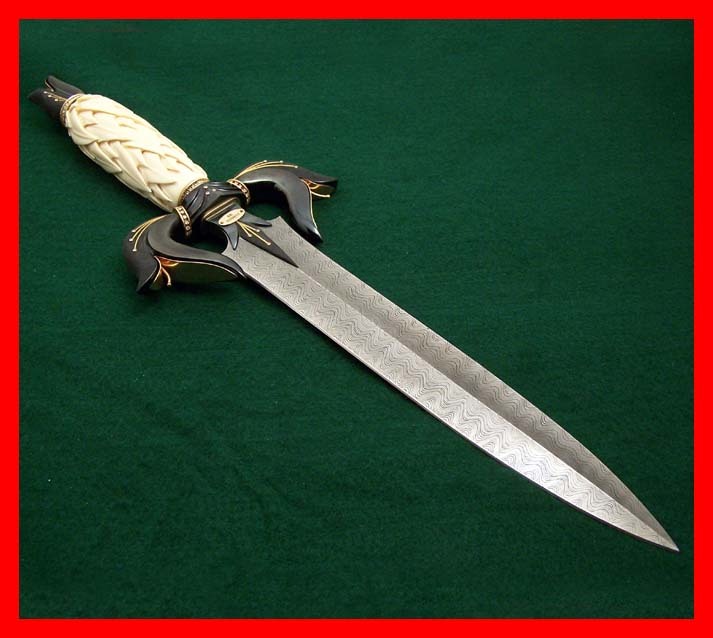 Well the other day I was perusing through the customs on eBay (actually I was looking for a custom dagger… go figure) and then one out of the 1901 knives listed under “custom knife” caught my eye. If you can believe it, this knife was the only one I actually clicked through to look at after going through pages of them and I didn’t look over at the price…but it is called champagne taste on beer budget. But heck who cares, right? I’d didn’t say I was buying it. Instead, I wanted it. Two totally different things. So, next time you talk to anyone who is wanting to know what I want for Christmas, you can tell them.